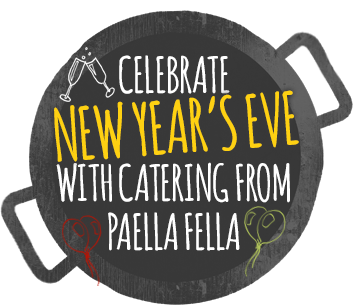 Paella Fella is the pick of the premier catering companies for your New Year’s Eve party celebration. You may be considering catering for your friends, neighbours and family on this unique and special celebratory evening. However, why don’t you take away all the hard work and hassle out of the preparation and leave it to Paella Fella’s team to do it all for you, leaving you to enjoy your New Year’s Eve party and the build up to midnight with all your guests? If you want a memorable gathering that’s a little bit different, check out the amazing Paella Fella range of New Year’s Eve party packages. Our New Year’s Eve packages sparkle with innovation, blending Paella Fella’s depth of experience and knowledge of Spanish cuisine to provide the perfect culinary experience for your New Year’s Eve party guests. From our premium New Year’s Eve party package, which includes our superb paella, our incredible tapas selections, artisan breads and delicious desserts including Gingerbread Empanadas with a Spiced Pear filling & Chocolate dip, through to our Bronze package, which provides all the essentials for a New Year’s Eve party, you can choose the food, drink and catering style to fit your Hogmanay celebration. Let us take the stress out of your New Year’s Eve party catering and give your guests a New Year’s Eve celebration that sends out the old and brings in the new in glittering style. Paella Fella is an established professional party catering company, bringing authentic Spanish food to all kinds of events from landmark birthday parties and weddings to corporate functions. When making your selection from companies catering for a New Year’s Eve party, make sure Paella Fella is top of your list. It was a lovely day and thankfully, despite setting up in the pouring rain, the weather held out for the afternoon. Your team were absolute troupers and the food was lovely, thank you so much. Please pass on my thanks to the guys who attended as well as they set up in horrendous conditions and were still smiling! 🙂 Dad loved the day and was thoroughly surprised so a great success all round. I had a lovely time and all the guests enjoyed the food, I believe that a couple of them asked for your details for future events as they were so impressed. Please pass on my thanks to the two girls/ladies/chefs/cooks who were most helpful and courteous. It was clear in my mind that the only company to cater for our event was Paella Fella as we have watched the company grow over the years and we have both supported each other during this time. So it had to be Paella Fella and no one else!! Nick was a godsend to the occasion, everything was made so easy for us, from the setting up to the serving of food and clearing away. Nick was very popular with our guests and I have received compliments from the Town Mayor, the Chairman of the District Council and the Chairman of the County Council. All guests loved the look of the set up outside and this added so much fun to the occasion. The food was delicious and my guests were going back for more portions! Wanted to drop you a line to let you know how thrilled we were with the team on Saturday evening at our party! They were so very lovely, not complaining about the awful weather, so friendly, professional and the food was stunning. 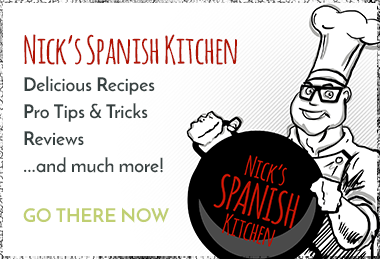 I have had so many compliments on the paella - will clearly be recommending you to anyone who asks! It was brilliant thank you Lisa loved it and we have loads of left overs to enjoy today. Russell and Debbie were brilliant so pass on our thanks to them. Thanks for all your help. We offer taster sessions where you can sample our fantastic paella, superb tapas range and delightful desserts so you can decide upon your New Year’s Eve party menu with total confidence. Our taster sessions start at £60 depending on your menu selection and is the perfect opportunity to discuss and share your New Year’s Eve party catering plans with us in detail. At Paella Fella, we are the major caterer for all sizes of New Year’s Eve parties and corporate New Year’s Eve events and able to provide delicious paella, incredible tapas, desserts and drinks for up to 300+ people. The more the merrier! Please discuss your requirements with our Events Team and we can advise how to assist you cater for your guests at your New Year’s Eve party. If you are looking for a professional, but fun, Paella and Tapas catering service for your New Year’s Eve party, a service that offers something that’s a little bit different, then do contact Paella Fella today! We would love to work with you to create the best possible New Year’s Eve party or corporate New Year’s Eve event for you. 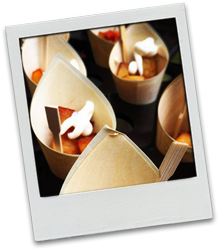 Bespoke, high end, stress-free Paella & Tapas catering with more than a touch of Spanish flair! Feliz Ano Nuevo!